If you’re looking to get your fix of fall flavors, then Disney Springs is definitely the place to be! Their WonderFall Flavors event has kicked off and runs through November 6. 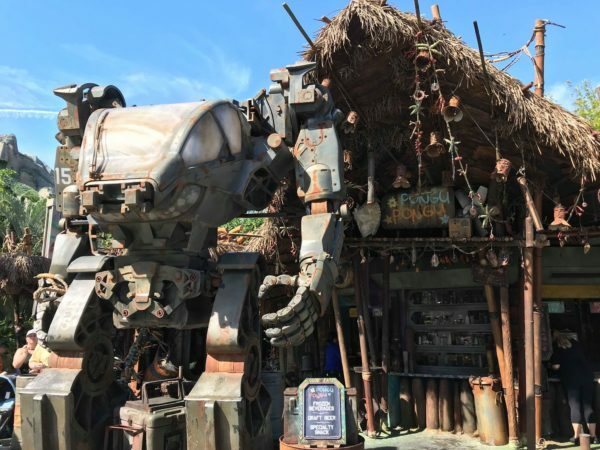 While we explored the different options at the more than 14 different restaurants and quick service locations throughout Disney Springs we discovered a hidden gem. Set up by the Anthropologie store in Town Center we found an outdoor vending cart selling Salted Caramel Pretzels! This delicious salty-sweet treat is priced at $6.25 and comes with a yummy chocolate dipping sauce. It is also available for purchase using one of the Disney Dining Plan Snack credits. Be sure to stop by the Disney Springs Welcome Center or any participating location to get your WonderFall Flavors booklet. This pocket-sized guide will help you chart your course and keep track of your tastings!